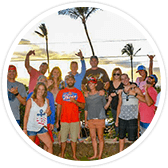 30 minutes prior to departure, Kihei Boat Ramp, Boat leaves promptly at 7am, 9am and 11am, . Jan 15th to April 1st. Due to the adventurous nature of this trip it is not recommended for pregnant women, people with back or neck problems, elderly or fragile people, children under 8. Must be made 48 hours in advance for all parties in order to receive a full refund. Our small group tours of maximum 24 passengers. Guaranteed to see and hear humpback whales. Onboard hydrophone to listen to the whales. 3 departures daily. 7am, 9am, 11am. Every year at the start of Fall more than 60% of the North Pacific Humpback Whale population will begin their migration from Alaska to Hawaii, with many of them choosing to stay in the waters off of Maui during their visit. 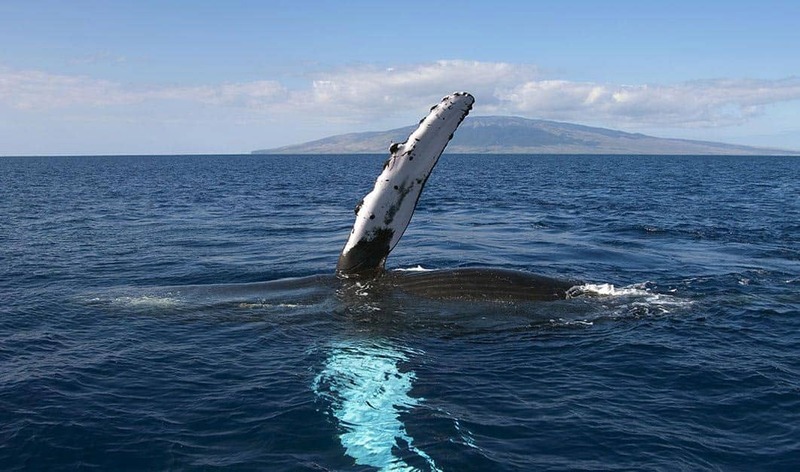 Maui is considered by many to be the epicenter for whale watching in the Hawaiian Islands. 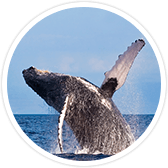 Whale watching season generally runs from December through April, when the tropical waters off Maui’s South coast are teeming with North Pacific Humpback Whales. However, our tours start at the beginning of January, guaranteeing whale sightings! 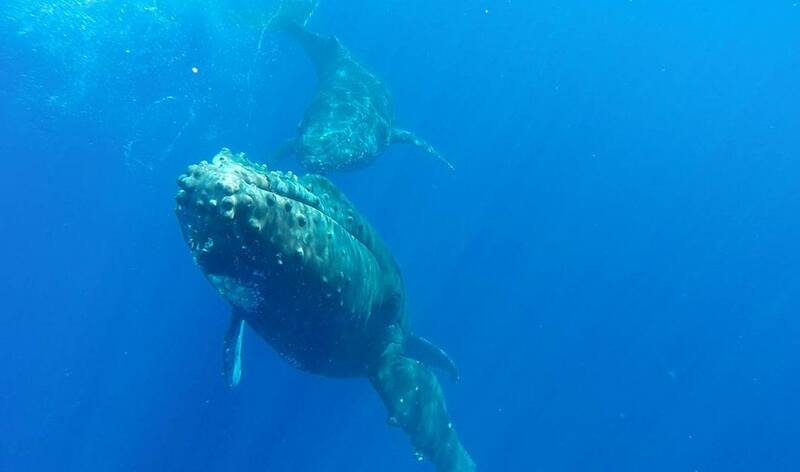 The best way to see these whales on a Maui whale watching tour is with Redline Rafting. 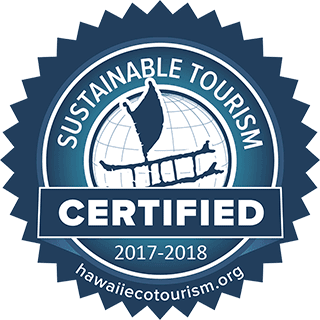 We endeavor to create the ultimate whale watching experience for our guests; our marine naturalists keep the tour educational and exciting, while you enjoy the benefits of having only 23 other passengers on board with you. Seeing Humpback whales in paradise on a Redline Rafting tour is an opportunity that simply cannot be missed! A smaller group helps create a more intimate setting in which our tour guides and naturalists have the opportunity to answer more of your questions. Imagine riding out to sea on our safe rafts as the warm waters of the Pacific Ocean mists your smiling face and the salty breeze blows through your hair, all while a happy Humpback mugs for your camera! Kelly and Sean of Redline took us out whale watching. I loved that there were only around 12 adults on the boat. I appreciated the way Sean would gently turn the boat around so that everyone got a really good look. We had some terrific activity, whale-wise. Kelly’s knowledge was really appreciated. I highly recommend!!! Had an awesome outing with Seth and Alex. They showed us a good time and kept the schedule loose. We had lots of time in each spot and saw a bit of everything. Redline supplied loads of food and drink as well as complimentary wet suits for anyone that wanted one. A top notch experience! We took the five hour snorkeling trip to Molokini, etc and had a great trip! We spotted a whale shark on the backside of Molokini and so many whales! They even went out of the way to follow a pair having fun with some fin slaps and breaching. Great trip- thanks to Seth and Alex for everything! We booked the 10:00 am whale watching tour for our family of four. We really enjoyed Captain Andy and Sean and how informative they were. We came up on a momma and baby, who swam right under our boat. It was amazing, an experience we will always remember. Thank you! 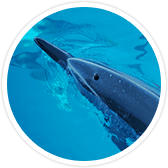 We offer a convenient South Maui departure location, and because of the agility of our vessels you will find that you’re spending less time searching and more time whale watching. 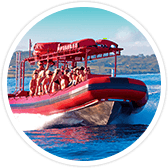 Not only will you return from your whale watching adventure with priceless photos and with more knowledge of these majestic marine mammals, you’ll also have made everlasting memories and had the time of your life. We invite you to come see why many consider whale watching aboard a raft is the only way to do it! We hope to see you during one of our whale watch rafting adventures, where we are certain that you will have the time of your life. And remember, due to the nature of marine life every single trip we go on is different. You never know what amazing sights you’ll see during a Redline Rafting adventure! BOOK A WHALE WATCHING TOUR TODAY! The humpback whales that migrate to the Hawaiian waters each year (seen on all Maui whale watching tours) spend their summers in Alaska. In the pre-whaling days, the pods were estimated in numbers upwards of 45,000 individuals. But as a result of commercial whaling, those numbers were down to just 1,400 humpbacks in 1966. 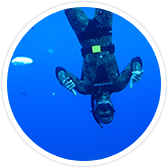 The 1970s brought with it many of the marine-life protections we enjoy on this tour, including the endangered species and marine protection acts as well as international treaties. The humpback whales we will see on our whale watch tours range in size from 25-40 ton adults to 1 ton newborns. Although humpback whales aer found in oceans throughout the world, the population in the Arabian Sea is the only one that does not migrate. The saying “Thar she blows!” originated when whaling ships would see the spray of a blowhole during the height of the whaling industry. In Hawaiian legend, humpback whales are the representation of Kanaloa, the God of Ocean Animals. Humpback whales are protected under the Endangered Species Act of 1973 and Marine Mammal Prtection Act, Under this, it is illegal to harass, injure or kill a humpback whale in U.S. waters. 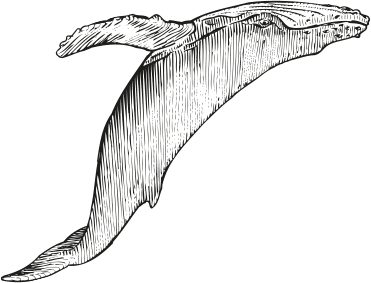 The scientific name for humpback whales, Megaptera novaeangliae, means “Great wings of New England” due to the enormous size of their pectoral fins. Sign up for our newsletter for updates! Share our page on your favorite social media platforms.